Watch a clip from Episode 3 “Darkness Falls” from National Geographic’s “Mars” season 2. When a solar flare strikes the planet and knocks out communications between and within colonies, the Olympus Town team races against the clock to locate exobiologist/geologist Marta Kamen (Anamaria Marinca), who becomes stranded on the surface during a rogue research expedition. 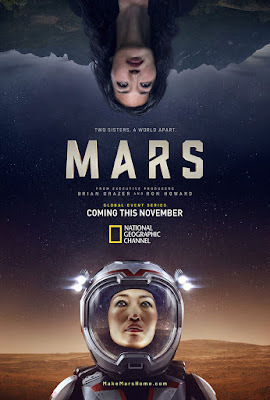 Meanwhile, the colony is bracing for its first-ever pregnancy on the Red Planet; tragedy strikes Hana (Jihae); and Amelie’s (Clémentine Poidatz) plans to return to Earth are thwarted. In present day, a scientist and his team on Earth brave harsh and dangerous conditions in the pursuit of data that will help predict the effects of glacial melt on global sea levels.